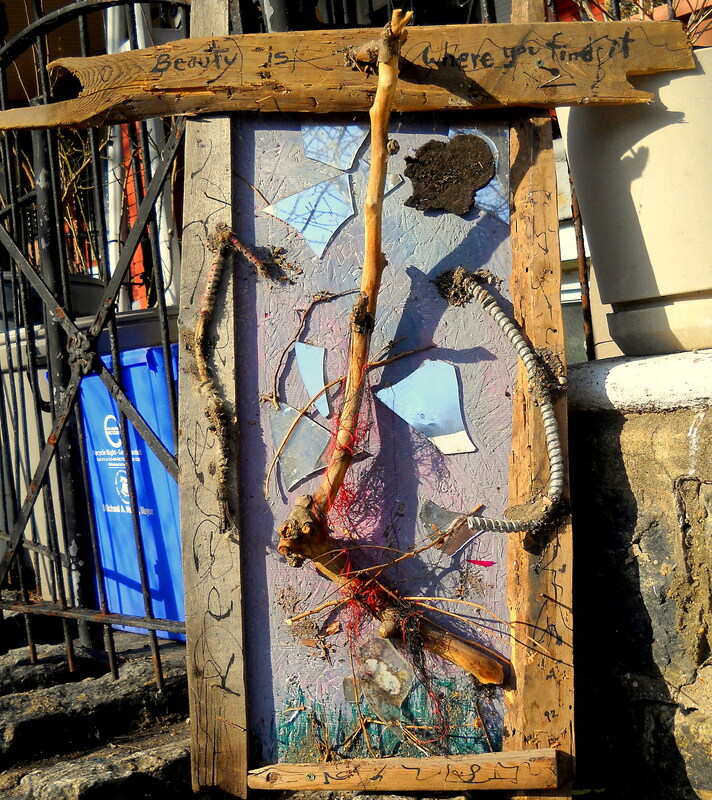 Another older piece, an assemblage of debris found on the street around the Ox, the collective warehouse in Kensington, where I lived in 2012. This isn’t a celebration of decay–but of what I imagine we must do: reclaim from the ruins of capitalism, a vision for a new world! (I don’t want to call these ‘assemblages’ anymore. My motives are not those of Rauschenberg, who I think, was the first to use that term. I don’t use ‘everyday objects,’ I use debris, the decay of consumerism, and my purpose is transformation. I was thininking: reclinations, a portmanteau or transformation, and recycle. Posted on January 16, 2017 January 20, 2017 by wjacobrPosted in Art, Art & Capitalism, My ArtTagged Art, Art & Capitalism, capitalism, Politics, Willard Art.